In 2005, I moved to Colorado. In 2006 I was introduced to the Colorado Bike MS because we had a company team. In 2006 I volunteered with the National MS Society and in 2007 I volunteered with our team at our award-winning team tent. In 2008, I decided to get my own bike and challenge myself to raise the money and ride the 150 miles. Yes. 150 miles. On a bike. Westminster to Ft. Collins and back. I rode for three years and then last summer opted to go on vacation to Israel instead. Late last summer, MS became personal. No longer was it just a good cause where our team raised a lot of money ($158,000 in 2011). No longer was it just the silent auction, the carb party, and a two days of sore legs. Last summer my sister was diagnosed with MS. This year, as a part of my fundraising campaign for the ride, I'm putting my culinary skills to good use as well. You make a donation. I bake you a treat. And I bike 150 miles closer to a cure for MS. If you make a donation of at least $25 on my participant page for the Colorado Bike MS, I will bake you a treat of your choice. You can use it to bribe or thank your child's teacher. You can lie and say you made it. You can put it in your freezer and break it out after you finish your diet. If you make a donation of at least $30, pick a treat that will ship well and I will send it to you. Feel free to pick a recipe off my Traveler in the Kitchen page. Or if you find another recipe, I'm willing to try it and see what happens. If it turns out well, I'll give you a shout out when I post the pictures here. 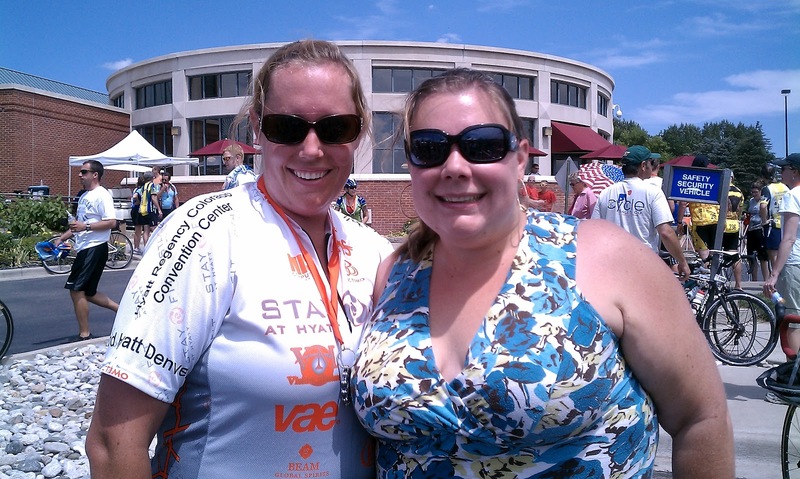 Click here for my participant page for the 2012 Colorado Bike MS.
Every mile, Every dollar working towards a cure!